Whether you plan your trips minute-by-minute, or allow spontaneity to help guide your path, here are some helpful resources during your trip to Orcas Island. The Orcas Island Chamber of Commerce does a great job providing an updated agenda of what's going on each week around the island. 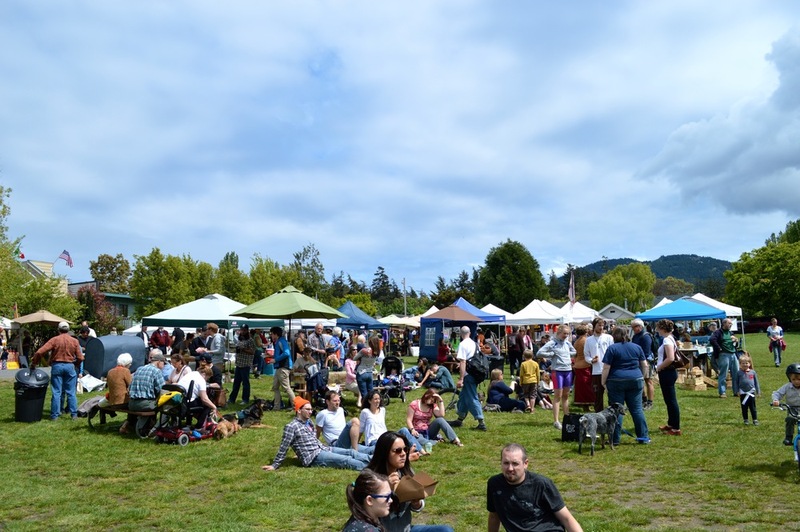 Whether there's a festival, musician or artist on the island, or other fun things to do, you're sure to know about it through the Orcas Island Chamber of Commerce weekly one-page guide to what's happening on Orcas Island. Visit Moran State Park is a 5,579-acre camping park with five freshwater lakes and over 30 miles of hiking trails. One of the most popular destinations on Orcas Island, Atop the 2,409-foot Mt. Constitution, the highest point on the San Juan Islands, there stands a stone observation tower built by the Civilian Conservation Corps in 1936. The tower offers panoramic views of the surrounding islands, the Cascade Mountains, and a variety of Canadian and American cities. Learn more about the 4th largest State Park in Washington here for more information on activities, history, and maps. A view from Mt. Constitution and the observation tower. Not sure which hike you would like to take? Be sure to grab your FREE Insiders Guide to Amazing Hikes on Orcas Island to see our picks. This topic is so popular, we wrote a blog post a couple years ago with some of our favorite spots to catch sunsets here on Orcas Island. Winter, Spring, Summer or Fall - you'll find beautiful sunsets (and sunrises) across the island. If you're a cyclist or mountain biker, check out the great information about riding on Orcas provided by Wildlife Cycles. Here, you'll find maps and routes for cyclists with mileage and turnoffs. 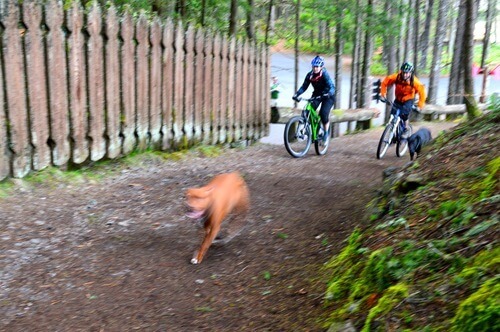 From September 15 through May 15, many hiking trails in Moran State Park are opened for mountain biking. Wildlife Cycles also offer a nice selection of bikes for rent and are also a great repair shop (speaking from experience) should you need service of your own bike while on the island. Views on the trail from the parking area down to the beach at Obstruction Pass State Park. Obstruction Pass State Park is an 80-acre camping park on the South end of Orcas Island, south of Moran State Park past the village of Olga. The park is one of the few spots on Orcas Island with access to more than one mile of publicly-owned saltwater shoreline. A half-mile trail leads visitors from the parking area to the campground and beach access. The beach is unique to the area as it's a stretch of fine gravel pockets as opposed to most of the islands rocky shoreline. And, the views are fantastic! Learn more about Obstruction Pass State Park here. Water activities are always a hit around the islands, with such beautiful scenery and so many protected coves. Whether you're interesting in guided excursions like whale watching or kayaking, or exploring as your own guide, you're sure to find a mix of activities you'll enjoy. Whale watching tours are very popular in the spring and summer. Be sure to book well in advance as spaces fill up quickly. The San Juan Islands Visitors Bureau has a listing of 3 highly-rated tour operators here on Orcas Island - click on the button below for more information. Whether this is your first time to the San Juan Islands or you’re a long time resident, taking a private boat tour is the best way to experience the majestic San Juan Islands. 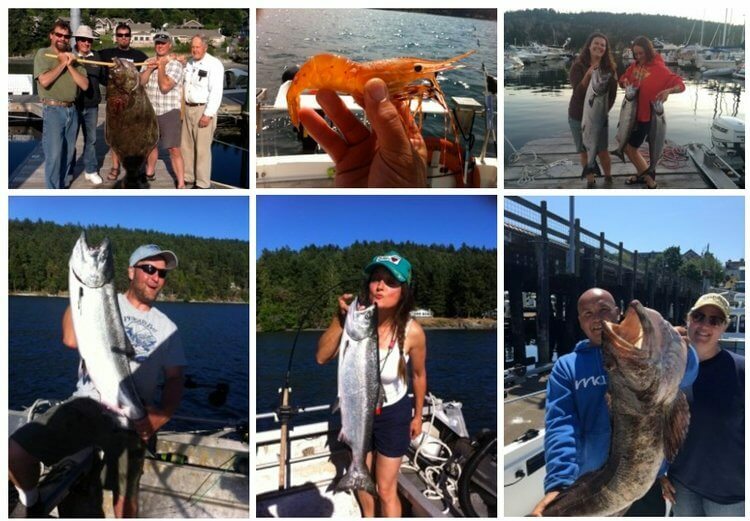 North Shore Charters has over 25 years experience and an extensive knowledge of the San Juan Archipelago. They work hard to offer you a truly memorable experience. Join them for Island Hopping, Fishing, Crabbing and Private Wildlife Tours. They also offer Harbor Tours, Sunset Cruises and Marine State Park Adventures. Be sure to check out El Jefe, their 30-foot boat made specifically for the San Juan Islands. It's comfortable, swift, stable and uses the latest navigation technology. El Jefe uses pure bio-diesel fuel, so no toxic fumes, and they're United States Coast Guard certified for 6 passengers. Salish Sea Tour Co. offers an intimate, educational and engaging experience with a focus on the heart and soul of Orcas Island. Featuring local perspectives they'll take you on an adventure behind the scenes where you’ll eat, drink and explore the places and ideas that make this island one of the most magical places on earth. They offer several tours with different focus in a comfortable and roomy Mercedes Benz Sprinter van. Kayak Rentals are available in several areas of the Island, including the popular location on the picturesque Crescent Beach and Cascade Lake in Moran State Park. If you're looking for guided tours, there are several choices available from different guides. Pick your area, and there's bound to be a guided operation. Some include: the Ferry Landing, North Beach, Rosario, Doe Bay and Deer Harbor, just to name a few. Note: You'll need a Discover Pass for day use at Moran State Park. Passes can be purchased for $10/day or $30/year, and Moran State Park has automated pay stations at the entrance. Just look for the "Purchase Discover Pass" sign. Eastsound serves as the central hub for commerce and civic life on Orcas Island. Take your time to stroll through town, taking the amazing waterfront views (Eastsound Waterfront Park) and enjoy the local shops, bakeries, restaurants and artists galleries while enjoying the laid-back pace of this small island town. There are often community actives taking place in the Village Green in Eastsound village. For instance, on Saturdays (May-September) you can visit the Farmers Market from 10am-3pm. Here, you'll find local organic produce, crafts, art, jewelry, clothing, pottery for sale - all of which is grown or crafted by Orcas farmers and artisans. You'll also be able to find a great selection of food vendors offering lunch to help replenish the energy you've used and will need to continue on through the day! There is no admission fee to the Farmers Market, and leashed dogs are always welcomed. Orcas Island Winery is a boutique family owned and operated winery & vineyard committed to crafting ultra-premium WA state wines - including a wide range of varietals- both red and white. Visit their tasting room, specially curated retail shoppe, modern farmhouse and scenic grounds nestled at the base of Turtleback Mountain. You'll surely share a few laughs with owners, Wesley and Tera Landman, too. *With your direct supervision, they are a family and dog friendly winery! Be sure to stop by the Doe Bay Wine Company's bottle shop in the heart of Eastsound Village. Here, you'll find a curated selection of wines with friendly and educational service on your selections. The Orcas Project is a collaboration between acclaimed Winemakers and Vineyards in the Pacific Northwest, featuring labels designed by Orcas Island Artists. Island Hoppin' Brewery is the islands first (and only) brewery on Orcas! Stop by the brewery to sample one of their several beers on tap, available in pints or taster flights. P.S. Don’t forget to grab a growler from our home to take so you can bring back your favorite! Spend a part of your day relaxing on the local 9-hole golf course. Orcas Island Golf Course welcomes all to play and even has a great selection of golf club rentals (Callaway or Top-Flite) if you didn't bring yours to the island. There is a practice range and even the ability to have swing lessons by appointment. There are several shops, restaurants, and gift shops available for you to visit if you have some time back at Orcas Village while waiting for your scheduled ferry sailing. You can explore Orcas Village while you're waiting at the ferry terminal, and be sure to take back that souvenir to remind you to come back and visit! Sign up with your email address to receive specials and updates from Orcas Island Getaway. Each spring, travelers to the San Juan Islands pass by some of the most amazing sights around, sometimes without even realizing it. Each April, the Skagit Valley Tulip Festival takes place where visitors can visit hundreds of acres of tulip fields. Here's a post from this years festival. Pictures from various activities during Orcas Island's Fourth of July Holiday Weekend, including the Parade, Fireworks shows and Orcas Fire & Rescue's Pancake Breakfast. Dog Friendly? You bet we are! Finding dog-friendly accommodations can be tough. Being dog owners ourselves, we knew that when we started offering our home to guests as a vacation rental, we'd provide an opportunity for them to bring their pups too. Here are a few of our guests. At one Historic location on Orcas Island, you'll find hundreds of beautiful works from nearly 40 local Orcas Island Artists that call this place Home. On your next visit to Orcas Island, be sure to head over to the east side of the island where you'll find an impressive collection of work by locals artists at The Orcas Island Artworks Gallery. Travel to the San Juan Islands has become much more convenient with the introduction of the new Ferry reservation system. This post covers what you'll need to know about seasons, making reservations and helpful links to make your travel smooth. Get updates and promotions from Orcas Island Getaway. Emails are never shared. Unsubscribe at any time.